Sarah Palin is both loved and despised, admired and detested, held as a wise woman and an idiot, caring and bigoted, a leader and a terrorist. I believe there is a good documentary to be made about the former Alaska governor, one that doesn't try to canonize her or demonize her. The Undefeated, a documentary about her, could have gone into the paranoia and the rather shocking vitriol that has wrapped itself around her, or it could have made a case for her as an effective governor of a large state size-wise but small in terms of population. Instead, The Undefeated went in a gaggle of directions that made it all rather unfocused. Using the audio version of Governor Palin's autobiography, Going Rogue, as a starting point, director Stephen K. Cannon attempts to weave an epic story divided into three acts. Act 1: The Servant's Heart, details her rapid rise from 'hockey mom' to mayor of Wasilla, Alaska up to her defeat of then-Governor Frank Murkowski in the primary to win the governorship of Alaska. Act 2: Mrs. Palin Goes to Juneau, details her work as Alaska governor, which judging from The Undefeated was a pretty strong record that oddly would have pleased liberals (her restructuring of the tax system to get Big Oil to pay more for example). Act 3: Present at the Creation, goes a bit into the 2008 Presidential campaign and how the campaign against the McCain/Palin ticket, and in particular the personal nature of the campaign against her, so weakened her governorship after the election that she opted to resign rather than drag the state into endless ethics charges which always ended by being dismissed. The film ends with Palin's role as a Patroness of the Tea Party Movement. 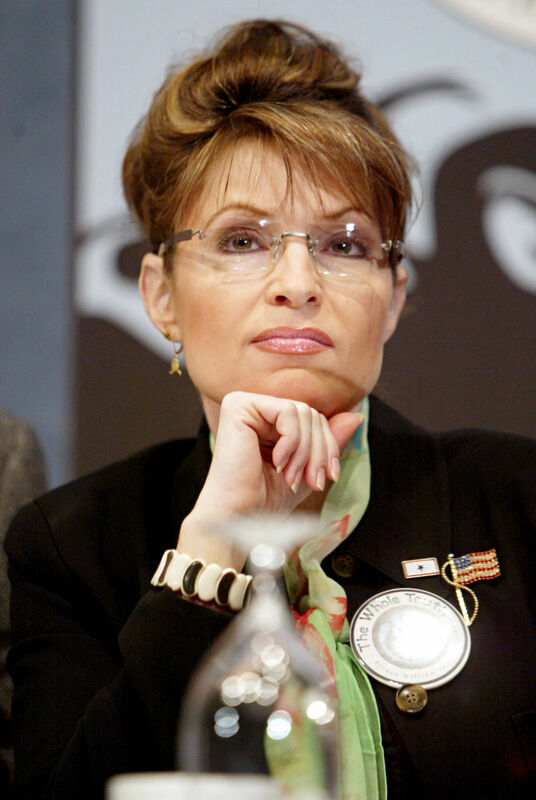 It seems incredible to me that Cannon, with such a wealth of archival information and the participation of right-wing luminaries like Andrew Breitbart, Tammy Bruce, and Mark Levin, could have bungled the job it appears to want to do: portray Palin positively. The first problem is cinematic. When Cannon shows the interviews with Breitbart, Bruce, Levin, or any of the people who worked with/for Palin, he films it in an MTV-like style, moving the camera all over the place, and even worse, sometimes either making the interviewees fade out a bit or make them appear lighter. The white background they were interviewed with did not help, nor did the fact that Cannon showed their names once, in light-colored letters, and make their names flash so quickly you couldn't remember who was who while trying to keep focus on what they looked like. If I may offer advise to Cannon, I find the best style of including interviews is like that of Senna or Judy Garland: By Myself, just have their voices while we see what you're talking about with only your name appearing on the screen from time to time. The constant camera movement of the interviewees, and even worse, the transitions between acts and 'scenes' between acts by showing a snowy background only makes things worse. In terms of visual look, The Undefeated is an unmitigated disaster. The second flaw in The Undefeated is structural. The film really doesn't appear to know what it wants to say. The opening montage, showing the fierce, fanatical, almost unhinged vitriol against Palin by Sharon Osbourne, Matt Damon, and her great nemesis Bill Maher is shocking in its hatred towards her, and I thought The Undefeated would either be or give ample coverage to the smear campaign that goes beyond the political into the personal. Instead, once we get past that we really rush through her rise to the head of Alaska, then rush to the 2008 campaign (something that was covered rather quickly), and then to the rise of the Tea Party Movement. A sharper focus on any aspect of the Palin story: her rise to Governor, her term as such, the campaign against her, or her embrace of the populist movement, would have made The Undefeated a better film. Instead, by hitting all those aspects and in such a rushed manner, the audience doesn't get a sense of what truly motivates her to pursue what appear to be random actions or what her ideology is. Side note: until watching The Undefeated, I was completely unaware that the state government of Alaska actually owned a a dairy, Mat-Maid Milk, which Governor Palin privatized. As portrayed in The Undefeated, Palin appears to be an effective governor: squeezing oil corporations for a 'fair share' to the state government, a major ethics reform, and high approval ratings for most of her term. The film could have benefited more by focusing more on her single term as Alaska Governor or how after her defeat for Vice-President eventually led her to be an unofficial head of the Tea Party Movement. Finally, the title is a very odd one: The Undefeated. The film never makes the case in what way Sarah Palin is 'undefeated'. I can only guess that she is 'undefeated' because she's still around, still drawing attention from the political class and the American public. However, I shouldn't be making these guesses: the film should make the case for or against Governor Palin being 'undefeated'. As it stands, Palin admirers will find much to admire in The Undefeated although even some of her supporters will become frustrated by the camera work. The Palin haters will see The Undefeated as nothing more than a shameless whitewashing of this evil, monstrous, murderous woman. Now, for those of us who neither love or loath Governor Palin, The Undefeated has some fascinating information and gives us some glimpse about her time as governor and how she follows her own mind rather than follow the party line. My biggest problem with The Undefeated isn't with the subject itself, or with the information we're given. Instead, it's with how the information/case is presented. 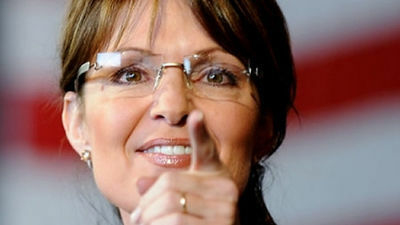 There are good things within The Undefeated and I figure, some good things within Sarah Palin herself. However, The Undefeated doesn't quite get our vote.